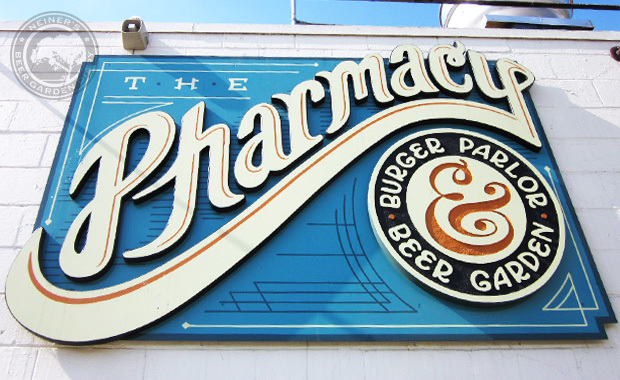 The Pharmacy is an old-school burger parlor & beer garden in East Nashville, serving specialty burgers and German wurst. 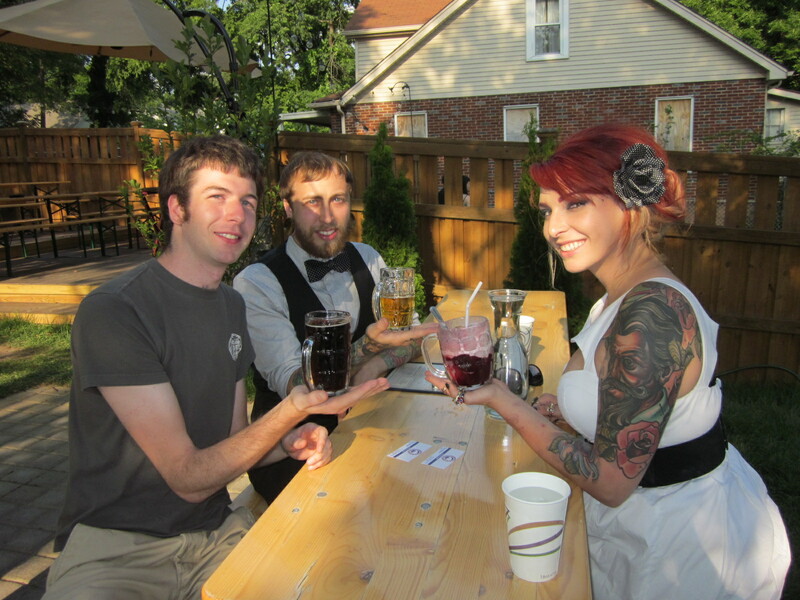 We also host the People’s Republic of East Nashville’s premier selection of craft American and German beer, housemade sodas, floats, shakes, tap root beer, and sooo much more! Driving through northern Georgia and southern Tennessee is a pure joy. Interesting bridges that appear and disappear in bookending lush green waves on either side. My destination would be the cure for ailed me, and what ailed me was phony “beer gardens.” Where do you go when you have an ailment? To the Pharmacy. I drive through a little neighborhood that didn’t seem like it would end in a well-known eating and drinking establishment. It just doesn’t look right and I double check my address to make sure that I am not going to an actual pharmacy in Nashville by mistake. But, as I round the last GPS turn, there it sits directly in front of me. I can see the white square building and a long unpainted wooden fence running off to the left. At about 5:00, I park in between the building and another watering hole, that would later turn out to be a sister establishment run by the brothers of The Pharmacy. As I sit down at the bar inside, I ask the tender, “Can I sit in the garden?” and she throws a worried look to the other tender. Then she shouts out to the hostess, “Is it ok if he sits in the garden?” Ms. Hostess replies after a quick beat, “Sure it is.” I must amend this to include the fact that the garden looks as if it can seat about 200 people, and it has about 8 in it. I ask if they are sure it is ok, and they say confirm with a smile. A little odd, but at last I have access. Upon first impression, it is quite beautiful. 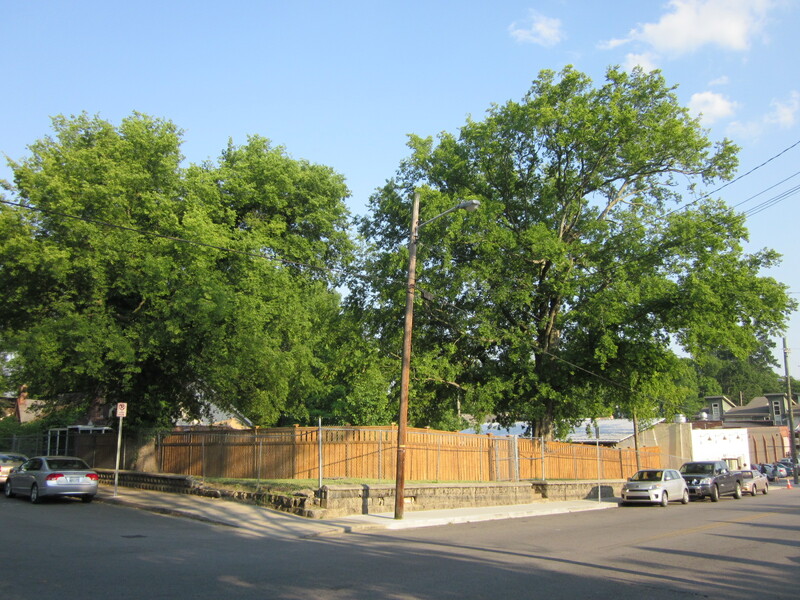 There are 2 huge looming shade trees that sit outside the fence but provide complete shade to the whole area. I see 8 newly planted trees as well. 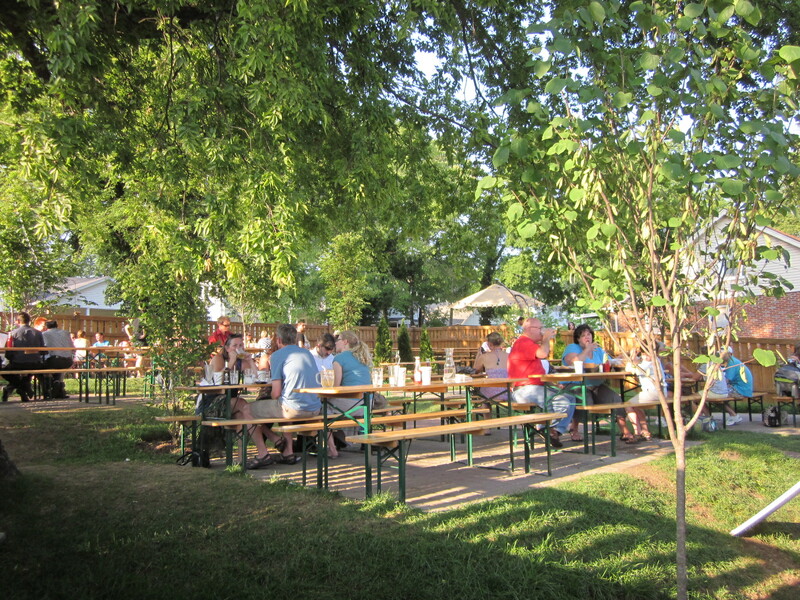 There are brick pavers leading to raised grass mounds that each hold 4 ten person picnic tables. Each level of these mounds is slightly more elevated than the one before giving an “amphitheater” effect, according to Trent Raley, one of the two fraternal owners, who was nice enough to sit down and chat with me for a bit. 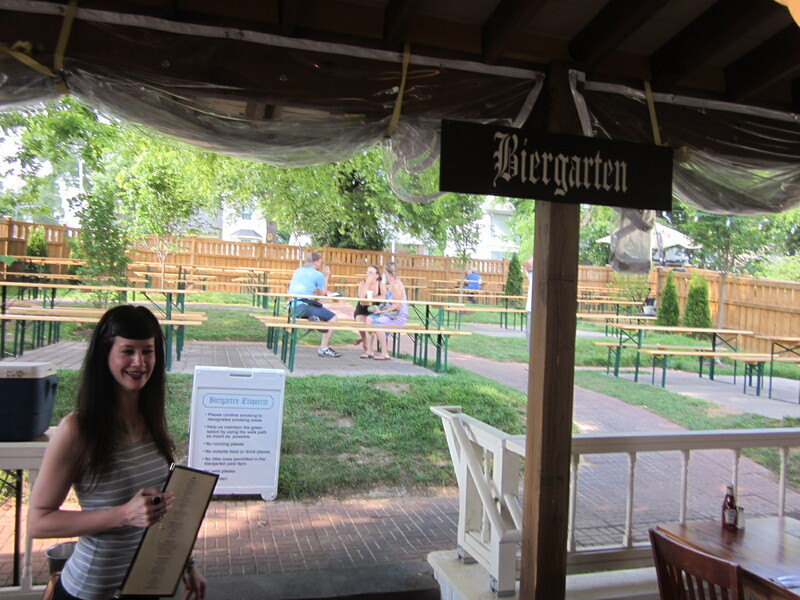 I am greeted by my friendly server Sara, and given my menu that features 100% made from scratch burgers, wurst and other goodies. Trent’s background is in fine dining and form talking to him, I can tell that he would accept nothing less than meticulously crafted food. Somehow they can keep the pricing down to extremely reasonable, or dare I say, cheap. 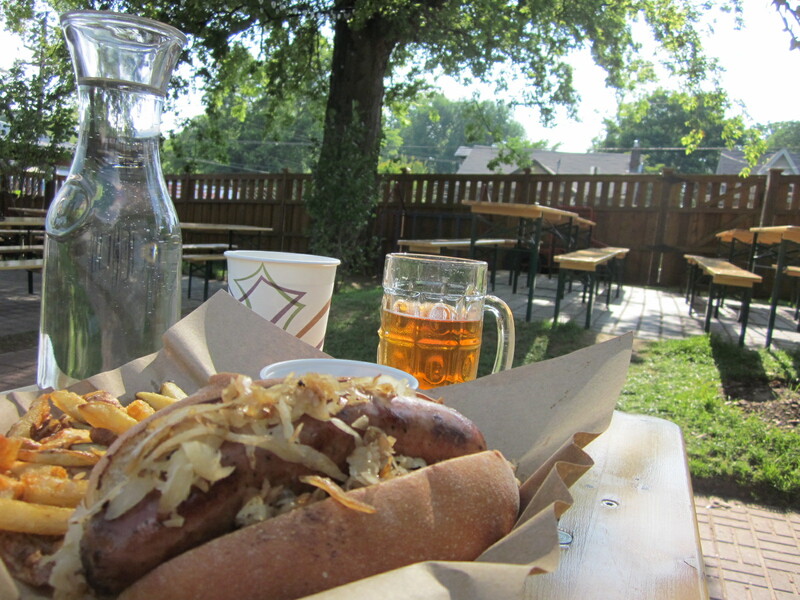 I order the brat and a local Nashville brew. I also like that each table is given a full pitcher of water to dispense at their leisure. While I eat I am scoping out the place and seeing people trickle in, party by party. I can see down into the indoor/outdoor covered area and into the indoor bar. There are lights strung from the trees that I can not fully appreciate since it is still beautifully sunny out. While I sip my brew, the owners come out and say hello and tell me all about the makings of the Pharmacy. The Pharmacy’s building used to be a children’s daycare but fell into a dilapidated condition. It just so happened to be next door to Terrell Raley’s lounge. The brothers got together and decided to purchase the daycare land and turn it into a burger joint. It just so happened to have a bitchin’ playground area. They overhauled the playground completely and landscaped in a slope and mounds as well as some grass and new trees. The mounds give the garden a spacious feel because of the separation, but also a communal feel because they are clusters of 4 tables on each mound. I love it. 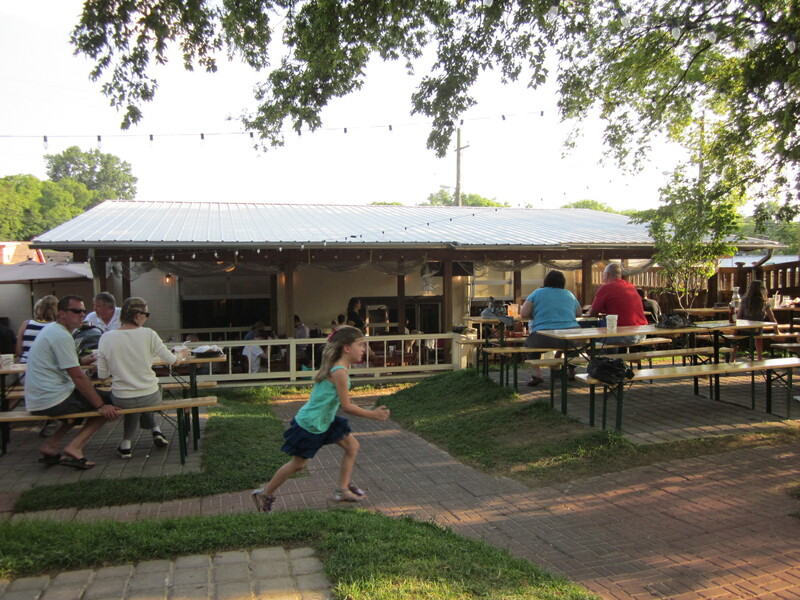 They also boast the coldest bottled beer in town due to the icehouse style storing that the learned from growing up in San Antonio. I hope to check this out for myself shortly! Today, The Pharmacy can see 1600-1700 patrons on a typical night. Booya. Now I understand why the staff was a little wary of seating me alone in the garden. At around 6:00, The Pharmacy is about to get a rush that will feature patrons gladly waiting over and hour for a table. It went from empty, to a line crawling out the door in the short time that I was there. Trent says that when they were having zoning hearings, one lady objected to having another burger joint because “we already have a Burger King!” Well, I sure as hell am not traveling across the country for Burger Kings. The brother’s are so friendly and it is painfully obvious that they have a passion for what they do. The craft beer comes from all over the country and Germany. The food is brilliant. The garden is a delight. 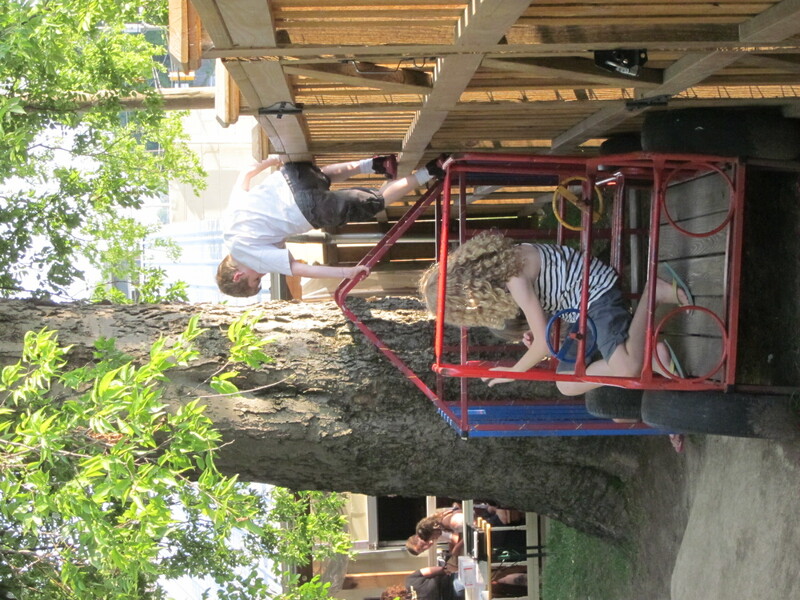 There are children giggling and playing on some old playground equipment, presumably left over from the day care. Everyone looks relaxed and happy. Exact words that come out of Trent’s mouth are “I wanted to make a place where I would want to go.” I know I have said those exact words myself, but with a present tense in place of a past. And that place looks a lot like The Parmacy.